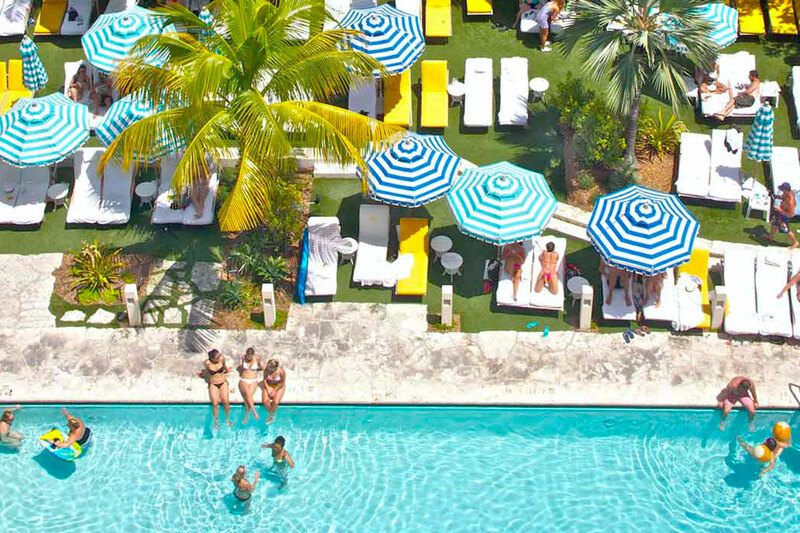 Experience a day of fun in the sun at The Confidante, one of Miami Beach’s hottest hotels. 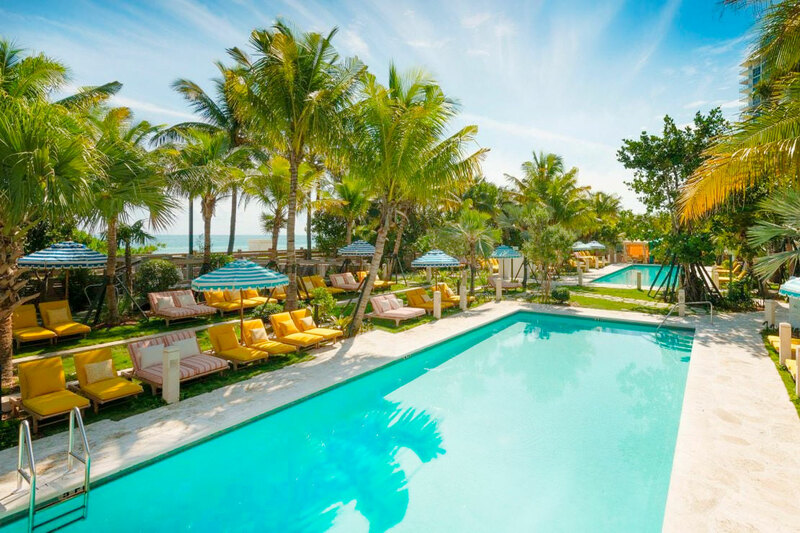 This paradise setting includes a chic pool and cocktail scene inclusive of a tropical garden with gorgeous scenery. 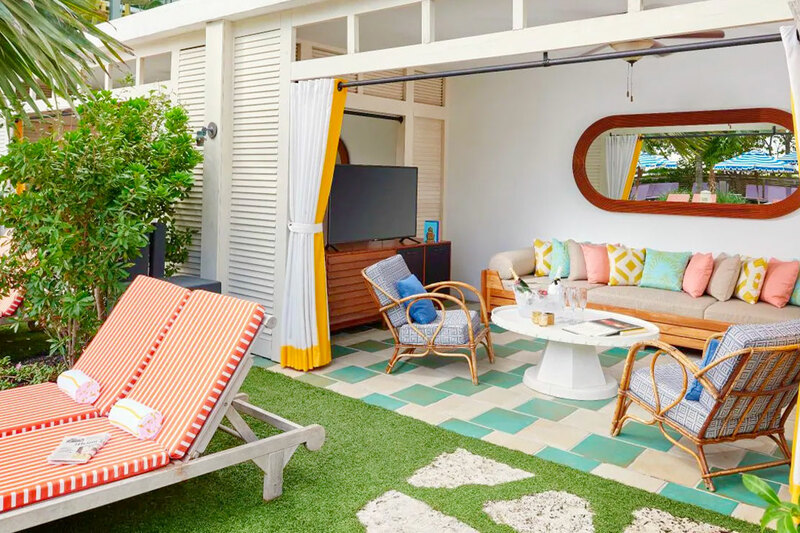 The oceanfront oasis offers direct access to Miami Beach and embodies the glamour of Art Deco style with vibrant pops of color and playful mid-century modern flair. 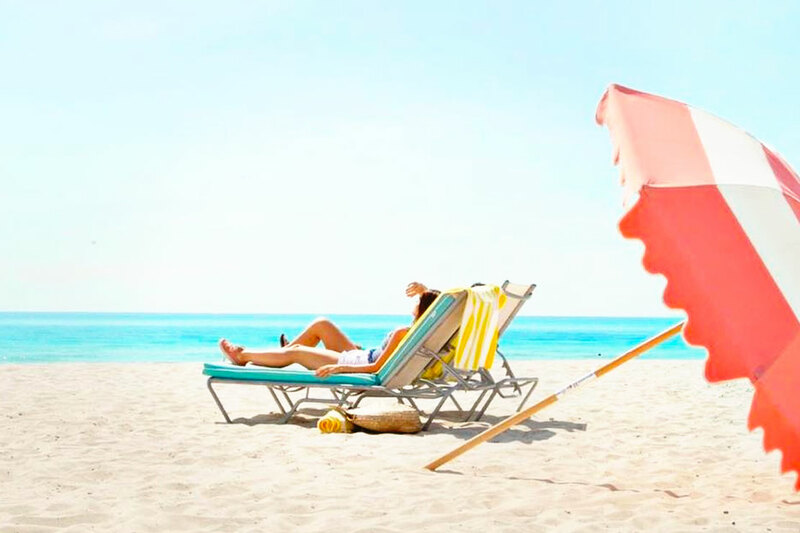 Lounge poolside and take a dip in two heated pools (one for adults only) then walk a few steps to the beach, adjacent to the famous Miami Beach Boardwalk. 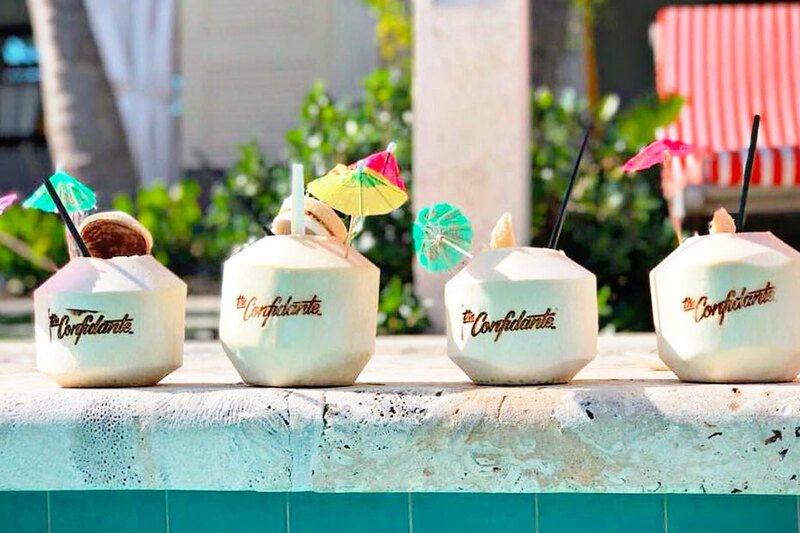 Enjoy casual cuisine and specialty cocktails, served poolside and on the beach. 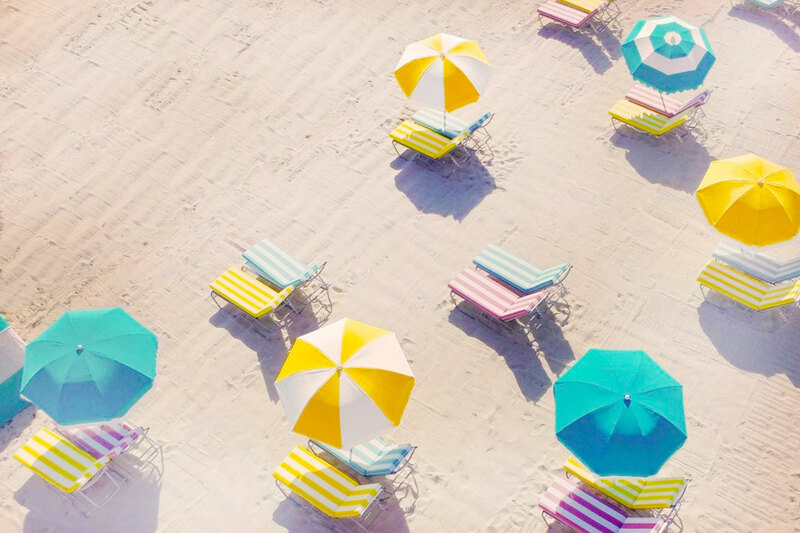 For the ultimate luxury and comfort, book a colorful poolside cabana or a stylish built-in bungalow with a personalized attendant. 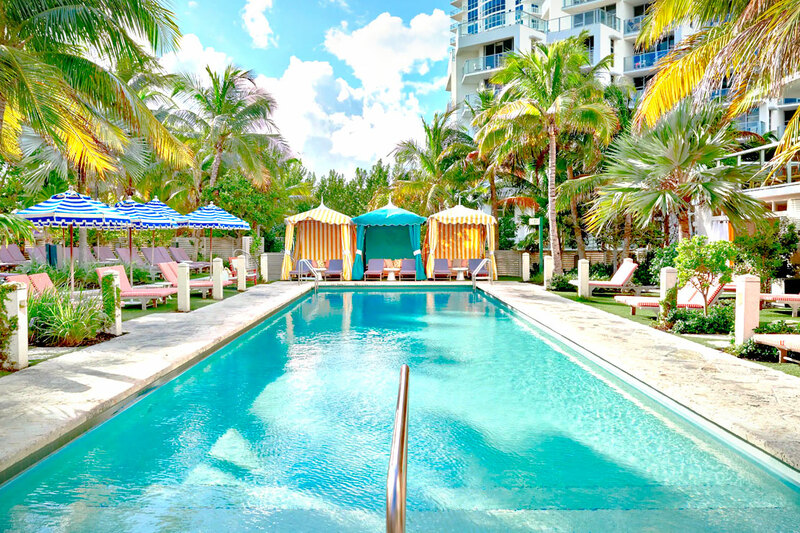 The Confidante is the perfect spot for an idyllic and blissful "daycation" in the Miami sunshine. 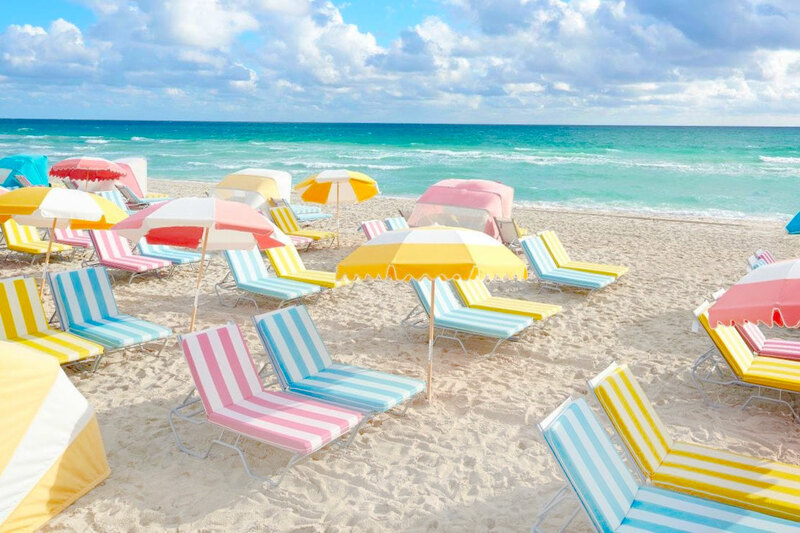 Pool and beach lounge chairs are not reserved and are first come, first serve. Day Passes can be cancelled by 11:59pm EST on the day before your booked date. Cabanas and Bungalows can be cancelled by 10:00am EST on the day before your booked date. Resort pass thank you ! April 18, 2019 Conrad B.
April 7, 2019 Aidarih H.
April 2, 2019 Gabriella F.
My day with friends at The Confidante during Spring Break was such a phone day! The service and vibes were great and Federico, Oscar and the rest of the staff were always making sure that our needs were met. Loved it! April 1, 2019 Barbara T.
My best friend and I had an awesome experience at The Confidante. There were no problems with check in and everyone at the hotel was very accommodating. We arrived at around 11am and there were plenty of beach chairs available poolside. There were two pools and one had some children in it, so we chose to sit at the other. We were able to place orders with our attendant and did not have to wait an exhorbitant amount of time for our orders. From there, we went to spend sometime on the beach. We were provided beach chairs and towels, the umbrella was an extra cost. We order lunch to be brought to us on the beach via an app used by the hotel. The food took about 30 minutes to arrive, but the app provided updates along the way. We were very impressed with the hotel and staff and actually plan to stay at the hotel on our next Miami visit. 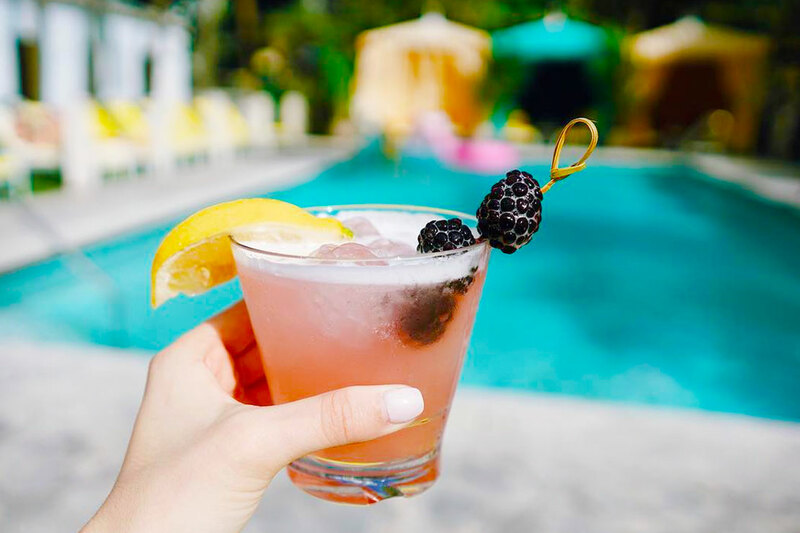 March 28, 2019 Jacqueline M.
I went with my sister and friend to the pool first and after getting our chairs set up we headed down to the bar for our drinks. The staff recommended the app but it had a high delivery fee. So we opted out. We spend a good time at the pool sunbathing and when it got a bit cold and cloudy we headed to the beach. When we got there the staff directed us to the kiosk to order our chairs. We were 3 and the pass only brings 2 chairs. We had 3 resort passes so I was confused. In the end we convinced the staff attendant to give us 3 chairs and we sat down. We ate our snacks and enjoyed the rest of the day. At sundown, we walked back in and checked out the restaurant Bird and Bone. We ordered the Pork Shank which was delicious and vowed jokingly to “leave no shank behind.” Had a great day. Beautiful property. The only thing I would have wanted was access to a shower. Not sure if the fitness center had that. We never went. March 27, 2019 Emma R.
I literally don’t think I’ve left a review for something in my entire life but felt so passionate about what a great experience I had with ResortPass that I felt moved to. This hotel was incredible, SO cute, very accommodating, and the food at Bird & Bone was excellent. Only thing I’ll say is that the spa closes at 6:00 p.m. so if your intention is to use the shower make sure to do it beforehand. Again, everything was wonderful. Thank you again!! March 27, 2019 Aimee A. This is my first option when i want to treat myself with a daycation, Second here and I just fall in love with it more and more each time, Checking was fast and easy everyone super helpful, the pool attendance were always checking up on us, we got our food and drinks quick really nice, the music was great and cant beat the beach chairs, get early if you want to catch some sun because those chairs tends to fill out quick . March 22, 2019 Rahul G.
Great service, had to change some names the day before and add some passes, they were very courteous and accommodating. March 22, 2019 Samantha K.
Amazing! 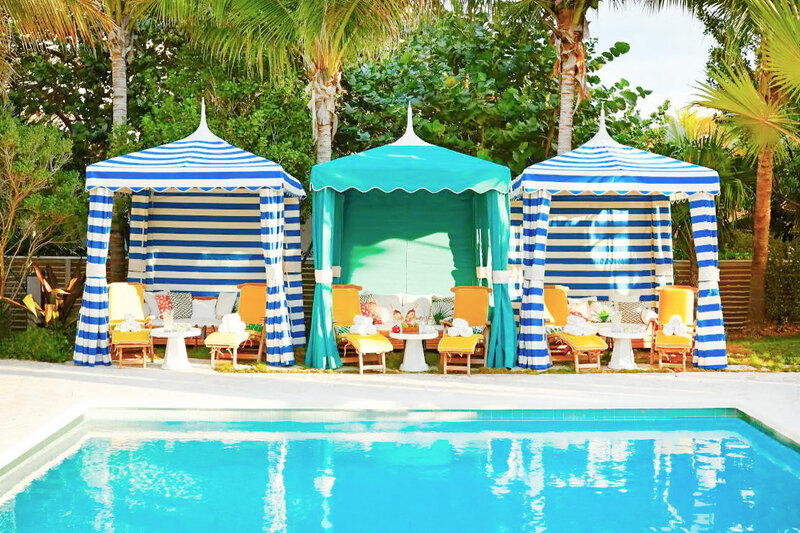 We purchased a Cabana for the day, the service, drinks and food were all exceptional. David was our server and was wonderful, prompt and and flawless service. I would highly recommend this package!!! It was by far the highlight of our trip to Miami.